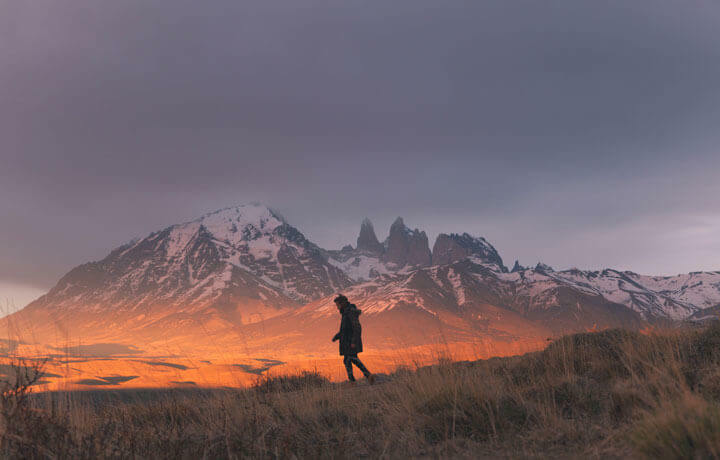 In addition to stunning peaks and sprawling valleys, amazing mountains also tend to boast some of the world’s most incredible lodge properties—the perfect combination for adventure. Scroll down to discover a few of our favourite mountains to marvel at and the different ways you can explore them! “A dream place”—that’s how Steinbeck described Amalfi. And when you take in the Path of the Gods, the hotels (we stay at Le Sirenuse, just like he did), the food and the limoncello, you’ll understand why. Dream place? More like fantasy land—but who are we to correct a Nobel laureate? The Rockies are a stunning example of nature at her best. Starting in Canmore, you’ll navigate the rivers, lakes and low ridges that surround this mountain town as you work your way deeper into the belt. A helicopter then whisks you away to your secluded backcountry lodge for epic hikes amid the peaceful, untouched corners of Mother Nature. We don’t call this an expedition for nothing. 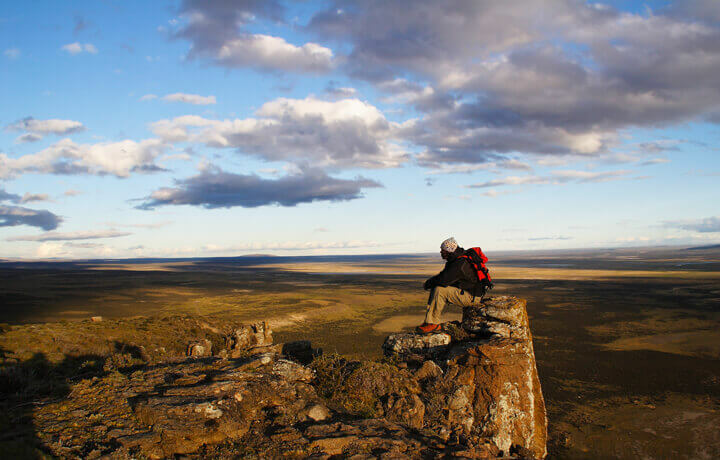 From the Atacama Desert to the Torres del Paine, this region is epic in every way. 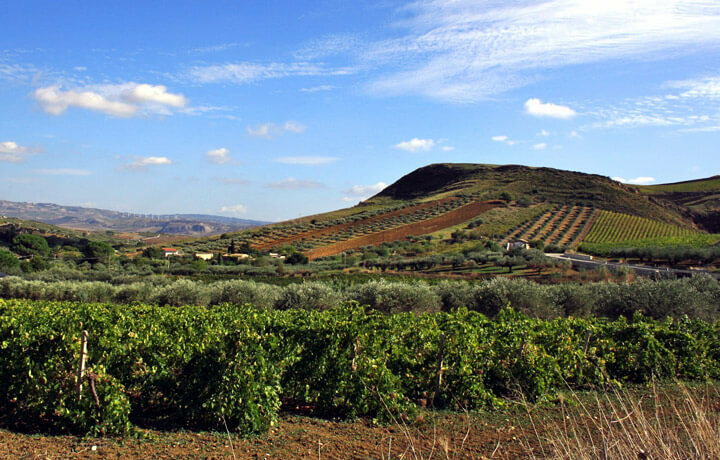 Filled with sumptuous meals, world-class wines and old-world charm, you’ll find yourself amazed that the drastic changes in the landscape here all still fall under the same flag. Our bucket-list Awasi hotels provide soft landings amidst the rugged landscape. May we offer you a glass of Malbec with your hot tub? Glide effortlessly through mountain and glacial vistas on your faithful e-bike—we’re the only ones with a dedicated e-bike trip designed to electrify. For thrills, lunch in a mountain hut, then traverse a high-altitude glacier via a looming suspension bridge. For culture, listen as our local friend brings the region’s stories to life over an aperitif. And for dessert? Chocolate, of course! 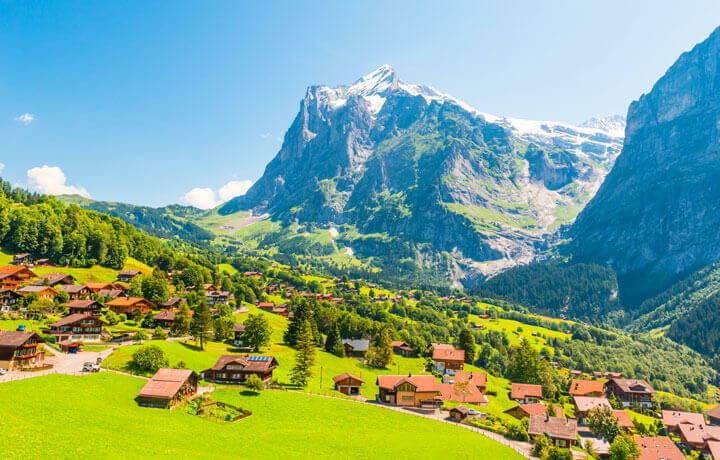 Experience the magic of Switzerland; the land famous for its delectable cheese and chocolate, yodelling mountaineers, and jaw-dropping mountaintops, lakes, and green pastures. This journey lets you experience Switzerland’s epic landscape and culture in a new and unconventional way. 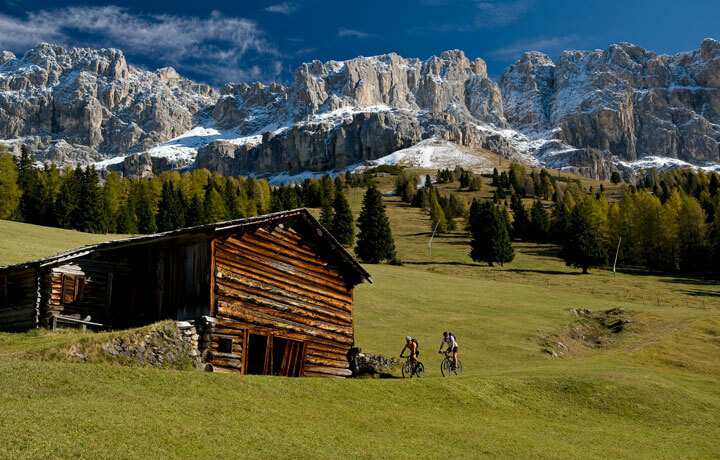 From Gstaad to Grindelwald—bike, hike and eat your way through its legendary landscapes that serve as your outdoor playground. Iconic national parks, larger than life snow peaked mountains, and wild beauty—the Canadian Rockies are the stunning backbone of this vast country. Bike riverside trails, hike waterfalls and maybe even spot a bear or two! Plus, you’ll be staying in some of the most authentic mountain lodges around. Your journey through Canada’s wild west, including world-renowned Banff, is sure to be one your family won’t forget. 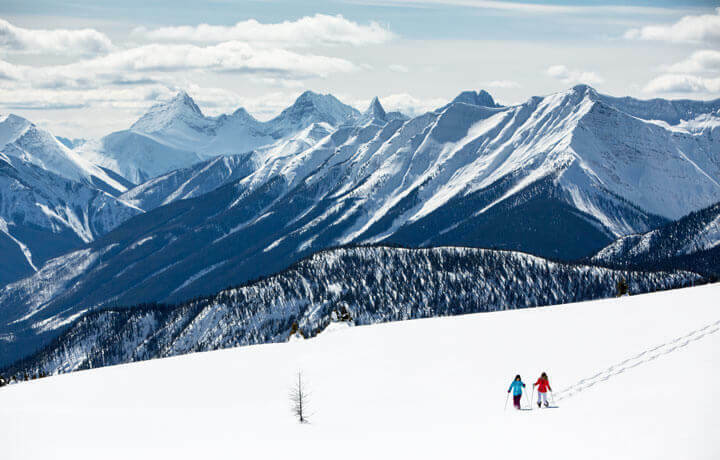 Welcome to the land that does winter best, the Canadian Rockies. Don some crampons and traverse the ice cathedrals of Johnston Canyon, snowshoe on the glittering snowfields of Sunshine Meadows, and learn to mush your own dog sled team on the Spray Lakes. Stay at the iconic Fairmont Banff Springs Hotel and luxuriate in the natural hot springs after a day of adventuring in the snow. Experience the immense variety and beauty of the northwest and discover why it’s called Canada’s playground. Every ecosystem is here: sea, mountains, forests, lakes, rivers. Watch the orcas frolic, or photograph the grizzlies at sunrise (with a telephoto lens, please). Fly over of BC’s fjords, glaciers, and mountain chains. Ohhhhh, Canada. Relive your childhood memories, surrounded by pure nature and total tranquillity on this journey through the raw landscapes of British Columbia. 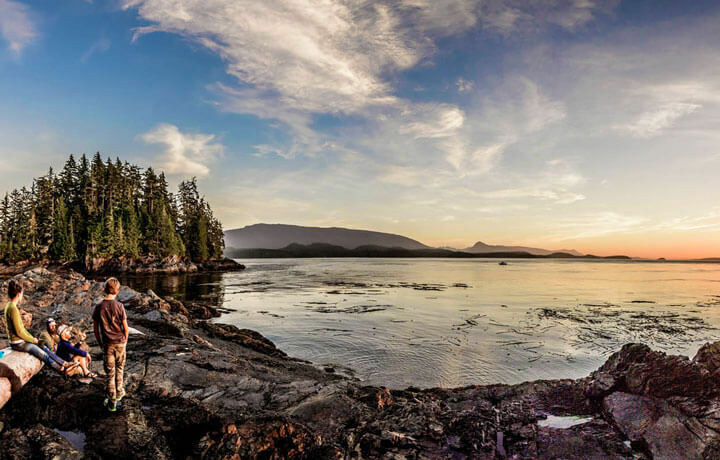 After a night in beautiful Vancouver, you’ll travel to a remote island for an elevated camping experience, complete with a hot tub and a king-sized bed. 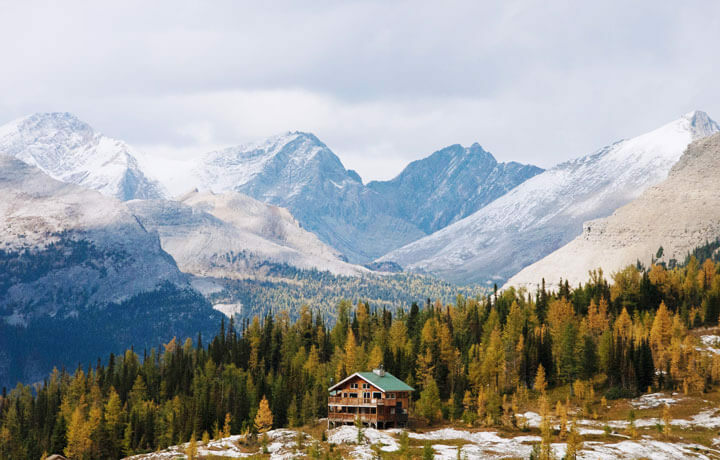 The adventure continues at a luxury mountain lodge in the backcountry, where glaciers drip into mountain lakes and grizzly bears roam across the front lawn. 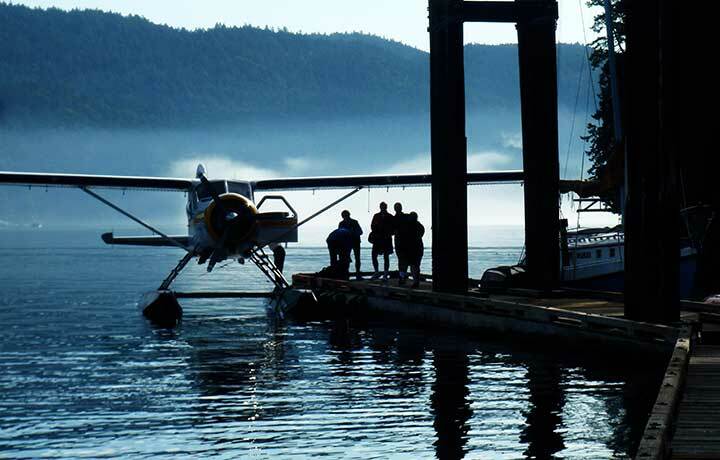 Beautiful British Columbia has an amazing mix of rugged nature and inspiring culture. Explore a variety of spectacular landscapes, from ocean to mountains, glaciers to alpine meadows. You’ll fly over the awe-inspiring Coastal Mountain Range, hike through ancient groves of giant trees, kayak one of Vancouver Island’s most stunning inlets, wander through alpine meadows, and bike along traffic-free trails. 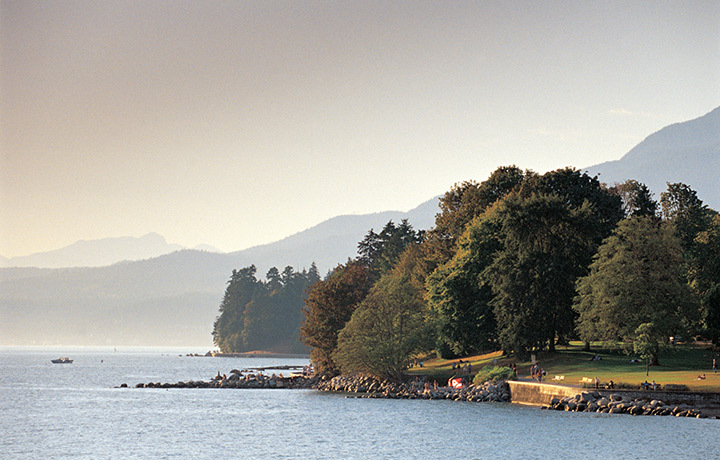 You will also visit energetic and bustling downtown Vancouver, a captivating and charismatic city by the sea. Here, sweeping mountain vistas and the spectacularly placed Il San Pietro (your Relais & Châteaux away from home) conspire to make the sirens sing. 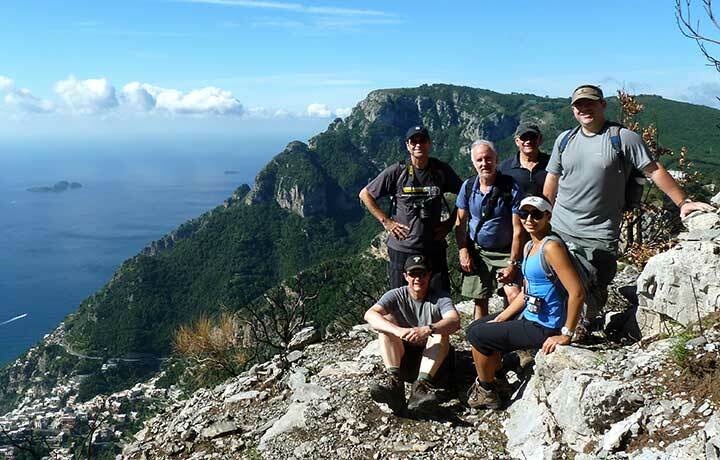 Go at your own pace—with local guides at your beck and call as you— traverse the glittering coast (on foot and by private boat), and take in Amalfi’s idyllic mix of luxury and rustic charm. 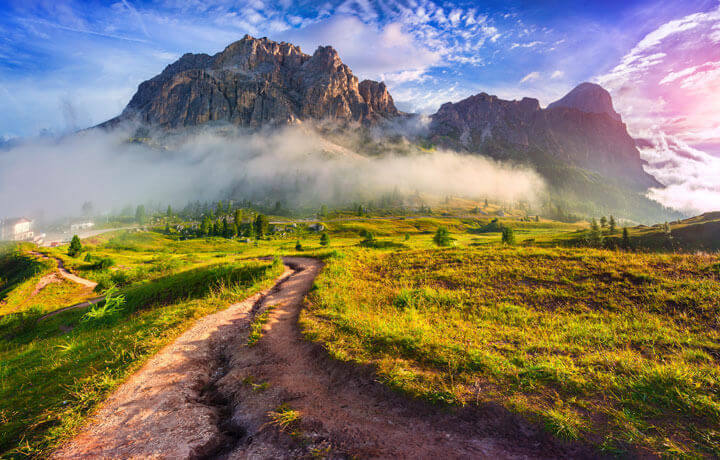 Explore the gorgeous (and little-known) Alpe di Siusi. Experience the region’s remarkable people, unforgettable hikes, and sumptuous cuisine. Your taste buds will never, ever forget our 3 Michelin star dinner at Hubertus, the perfect reward after an invigorating (and jaw-dropping) alpine hike. This remote region has some of the planet’s most incredible vistas—and it’s seen by precious few. Be among those who have walked the windswept steppes and glaciers above crystal clear lakes as condors patrol the skies (just keep an eye out for your sandwich). At day’s end? Take a load off at these out-of-this-world lodges and sample some of the finest dining experiences in all of Chile. Want to see Machu Picchu after the tourists have left? We find the best way is to sleep next door at the stunning Sanctuary Lodge. 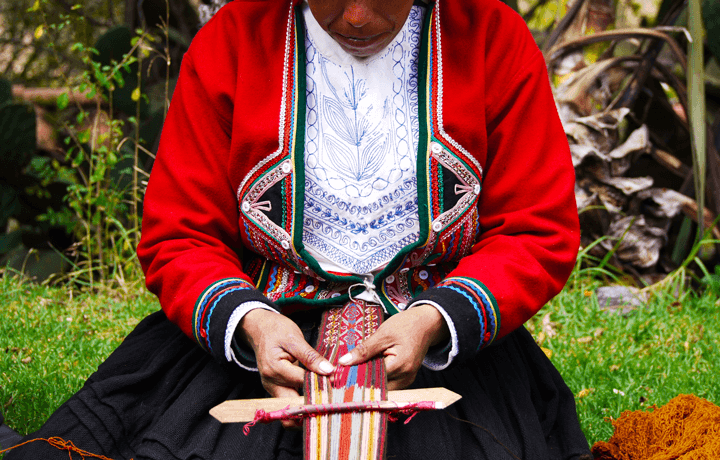 During waking hours you'll walk the ruins of the Sacred Valley and hike the cloud forests of the Inca Trail before hopping the Hiram Bingham Train back to Cusco for a final night dinner in an incredible Inca place. 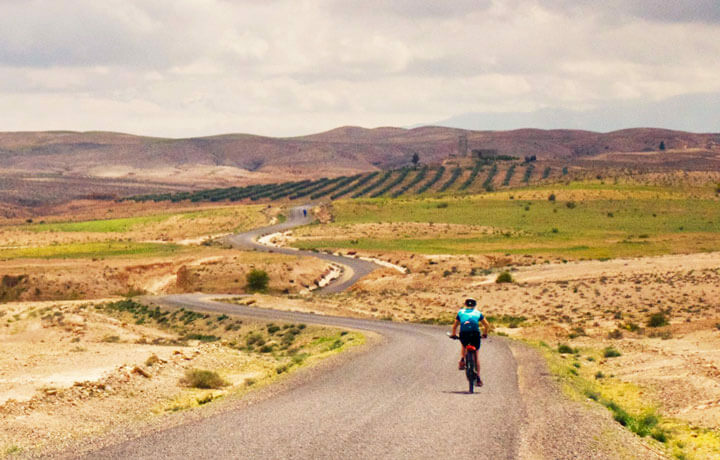 Have the experience of a lifetime on a bike or, if you prefer, an amicable camel. Go from bustling souks to Berber villages and crumbling kasbahs. Lose yourself overnight in the silky Saharan dunes at a breathtaking tented camp, and luxuriate at Kasbah Tamadot, Dar Ahlam and Riad Farnatchi (exclusive to us). You’ll think you’re walking toward a mirage, but trust us, it’s all real. Morocco is certainly off the beaten path, but our compass has always been a bit strange—maybe that’s why we’re the only company that walks here! Embark on an unforgettable journey, highlighting the best that this region has to offer: High Atlas Mountains, Berber villages, stunning oases, Kasbahs, fabulous food and the incredible city of Marrakech. You may not trust your pictures when you get home, but believe us, you were there. 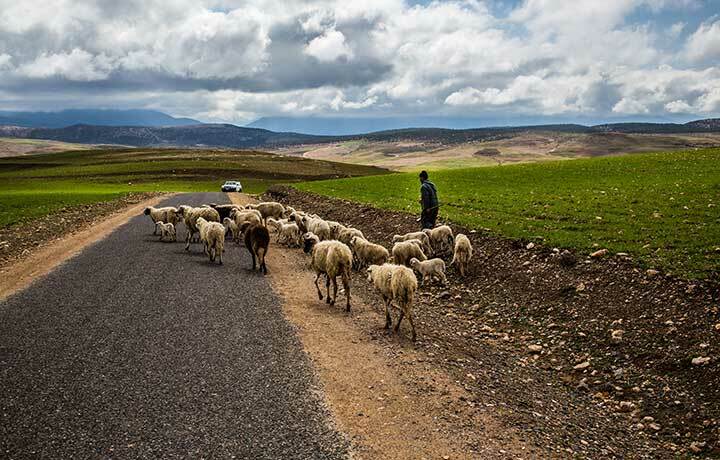 The heart of Morocco is off the beaten path – and we’ve weaved together breathtaking walks that lead right to it. 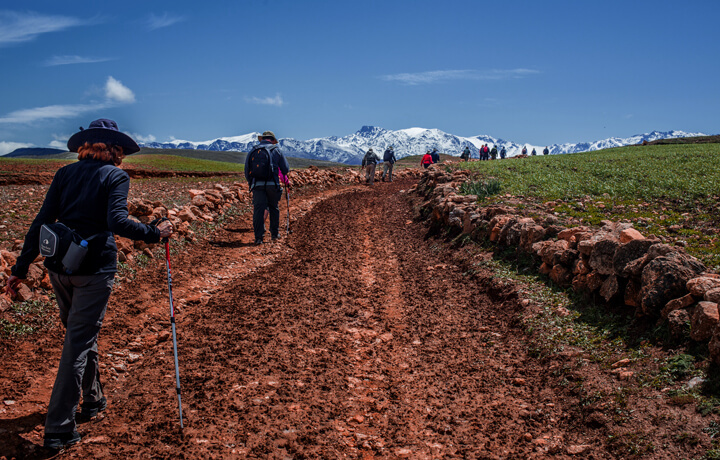 Hike along the Plateau du Kik and drink in the views of the High Atlas Mountains. Sip mint tea in Berber villages at the foot of Jbel Toubkal. Stroll the fragrant Valley of Roses. And put your feet up at exquisite hotels – just in case the heart of Morocco is hiding out by the pool. Morocco is one of our oldest friends—the land, in fact, where the idea of a B&R expedition was born. We saw a foreign, exotic, stunning country beautifully suited to our penchant for pedalling, and knew we absolutely had to introduce it to our travellers. 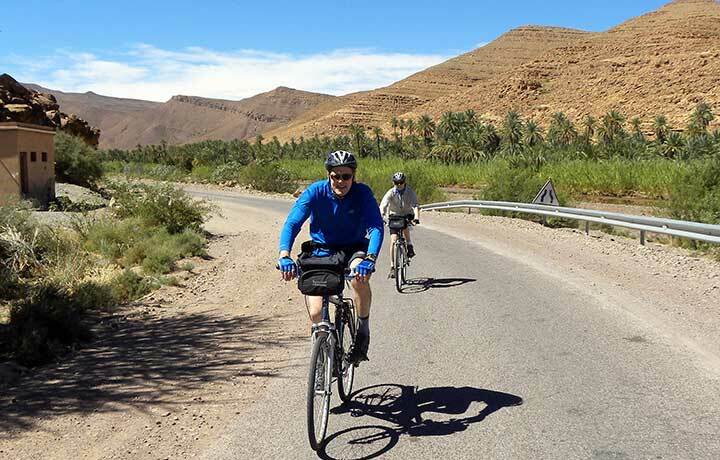 Today, we give you the very best that a luxury Morocco bike tour has to offer—magical Marrakech, Berber villages, fabulous food and an absolutely unforgettable riad stay in incredible Essaouira—all combined with an electric assist bike that makes the aforementioned pedalling a sheer pleasure. Four countries, two wheels; one epic adventure! 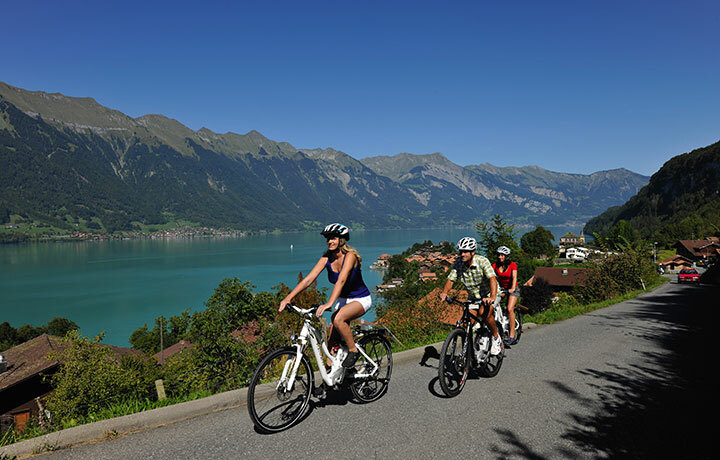 Get well-acquainted with the Alps as you connect peaks and mountain towns on this e-biking journey. From Munich to Verona, you’ll ride along on the old Via Claudia Augusta, the first real road to travel through the Alps. Prepare for an unforgettable combination of landscapes, wellness-focused hotels and tributes to the area’s eventful history and the cultures that shaped it. Explore the Necropolis of Pantalica and the ancient eastern side of the island, meet with local producers in Noto and enjoy some of the freshest ingredients imaginable. Then turn your radar north to Mount Etna—the highest summit of Sicily at about 11,000 ft. (and still active). Your journey finishes in beautiful coastal Taormina, offering breathtaking views across the sea. Fresh seafood, local vegetables and, of course, wine are the main stars on this unforgettable journey. Expert insight and advice from our award winning blog.